While your tile roof is likely to last for many years, it will start to deteriorate and you need to know the signs of a problem with the roof. There are a number of different signs that you can look out for and need to know about. When you notice one of these signs, you need to schedule roof repairs as soon as possible to prevent any further damage to your home. Here are the main tips from Roof Restoration Brisbane. The most obvious sign of a problem with your tile roof is when there are broken tiles. While this is an obvious sign, it is something that people miss because a lot of people forget about their roof. This is something you should avoid doing and remind yourself to regularly inspect your roof. 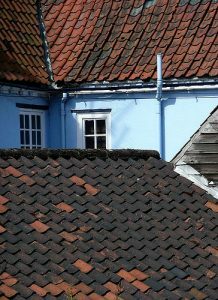 If you do notice that there are any broken or missing tiles, you need to contact a roofer as soon as possible. They will be able to repair or replace the damaged tiles and stop any problems such as leaks from occurring. If there are a lot of broken and damaged tiles, you might have to have the roof replaced. If your attic has excessive humidity, you could have a problem with your tile roof. Most people assume that ventilation is the cause of this problem, but a roof leak can also cause this. Adding ventilation to your attic will often reduce the humidity, but it might not solve the root cause. When you have excess moisture in your attic, you also need to look for signs of mildew and mold. This is generally a clear sign that a leak could be causing the problem. You will need to call a roofer as well as a remediation specialist if you notice mold. The roofline of your home is meant to be almost flat. However, as time wears on, the integrity of the roof can start to sag. If you notice that your tile roof has peaks and valleys, the underlying material of the roof could be compromised. You can also see sagging inside the attic through bowing in the supports. If you notice sagging of your roofline or bowing in the supports, you need to contact a roofer. They will be able to advise you on strengthening the support system of the roof and replacing the underlying materials that have caused this problem. You should never allow a sagging roof to continue as this will cause major issues. A common problem with metal roofs is corrosion. Regular painting, say once every two to four years, would do wonders to your metal roof. For iron roofs, the painting will help prevent rusting, which leads to the wearing out of the roof when the rusting persists. When painting, make sure that you go for paints that are formulated specifically for metal roofs. Wash the roof properly before painting to make sure that the paint adheres to the roof. Cleaning the roof before painting involves using a brush to remove any loose paint and rust. After that, it is important to clean with trisodium phosphate to give better results when the painting is complete. It is important that you emphasize areas that you notice are quickly wearing off to prevent further damage. 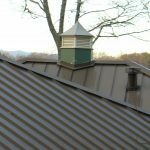 Having other metallic materials in contact with your metal roof may be a matter of concern. This interaction may lead to early degradation of your roof. Further, it could cause staining of the roof and possible damage of your metal roof altogether. Different chemical properties of metals may lead to the corrosion of your metal roof, especially when it comes into contact with water. Make sure you monitor other workers around your roof, such as plumbers, satellite dish installers, electrical contractors. Be keen with the recommendation they make, such as making penetrations in your metal roof surface. Only qualified roofing contractors should make these additional penetrations on your roof to avoid damage. Screws, fasteners, and rivets used to attach the panels and roof are crafted to withstand harsh conditions as they hold your roof firmly. Even though they are engineered to endure the harsh conditions, it is still vital that you have them checked regularly to ensure that they are not loose, angled, missing or crooked. Constant expansion and contraction over the years may have the fasteners backing out, calling for some fastening after some time. Metal roofs require both structural maintenance and surface maintenance. Cleaning off dirt, stains, mildew, and other elements will help your metal roof stay in good condition and guarantee extended life. Cleaning out the gutters and drains also prevents water accumulation, which causes the corrosion of metal roofs. Maintaining your metal roof will, in turn, guarantee you more years of service. If you are looking for a new home or even remodeling or building your own, perhaps your interest has been piqued by wooden stairs. Wooden stairs have many benefits, and in this article, we will discuss these benefits and why you should consider installing wooden stairs in your home. The first benefit of wooden stairs? How easy they are to clean! Those who have carpeted stairs, especially when the color is very light, can tell you just how frustrating it can be to have stains appear. Some stains may not even be able to come out at all, no matter how hard you try. Wood flooring is much less maintenance when it comes to cleaning, and if something should get spilled, it’s not nearly as big of a problem as it can be with carpet. Therefore, those with kids or clumsy spouses can rest easy with wooden stairs. Wooden stairs, especially when they are given proper care and attention, can add quite a bit of value to a home. This does mean, however, that you should select a lovely design that is installed properly. A professional installation is your best bet. But if you are a house flipper, or you plan to sell your current home one day, wooden stairs can be just what the doctor ordered in boosting your home’s value. When you are browsing styles and designs of staircases, you have a lot more options available to you if you decide to install a wooden set of stairs. This fact makes it much easier to select a style that is just right for your home. Thus, the visual appeal of your stairs can be truly amazing when you work with wood. And no matter what your style of decor – modern/contemporary, bohemian, rustic, etc. – you can find a look that fits in line with what you love. In conclusion, wooden stairs are lovely to behold, and you have much more by way of options than just carpet or any other material available. In order to select the right stairs for your needs, be sure to speak with a professional who can give you insight on what will work for you and your home. Of course, you will want to consider your home and what will work best for you, such as whether or not wooden stairs will work with a home full of children or even a few pets. That way, you can make the best decision and be thrilled with your stairs. To learn more about stair cases in Sydney see the team at Stellar Stairs. Metal roofs are becoming quite the popular choice among homeowners. People love them for a variety of reasons, and it’s certainly not just about aesthetics. They are very durable, and they come with great warranties. Metal roofs are also known for being very energy efficient and quite soothing when it rains. The sound of rain on a metal roof is quite lovely. It is also quite loud, but it’s still a really nice sound, save for when it’s literally storming. A metal roof can last 50+ years, and of course there are different styles. The corrugated metal roofs are the baseline, and they might not last quite as long. While asphalt shingle roofs are still widely the most popular option, metal roofing is gaining ground in recent years. With the right metal roof, you can count on maximum wind resistance. Their durability isn’t about just how long they last but how well they protect your home of course. Slate roofs are the most durable, but the slate tiles are heavy. With metal roofing, you also get to count on a lightweight material. The fasteners for metal roofs are concealed, and that is a plus in terms of aesthetics. As for style choice, metal is a great option in general, and there are many different designs available. You might not think you have many color choices, but you do. There are quite a few colors available, and that can help you when it comes to matching the neighborhood if that applies. 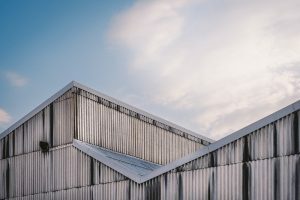 When looking at the benefits of metal roofs, it can be important to make comparisons with other roofing materials. 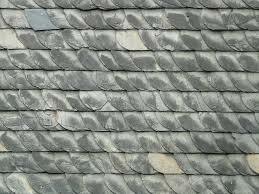 For example, I pointed out slate roofs in terms of weight and architectural shingles in terms of popularity. A metal roof is often going to come with a longer warranty than an architectural shingle roof but a shorter warranty than a slate roof. It’s all in what you want to put on your home. What roof is currently on your home? If you’re wanting to make a switch, considering a metal roof is a good choice. They are often a little pricier than architectural shingles, so keep that in mind. You will want to get a good quote or two from roofing companies before you make a final decision. Compare the benefits and prices for various types of metal roofs with other materials, and then you can decide what you are going to do. Electrical problems are not unknown in the home or office. There are bound to be electrical problems which may be difficult to take care of by yourself. This is when it is necessary to hire an electrician. When doing so, you should not just choose any electrician that is available online. You need to make sure that they are capable of doing the job and will do it efficiently. These are tips for choosing a good electrician. It important to have an electrician who has a license to do the job. A licensed electrician has received the training necessary to do the job. This means that they will not make a mess of the situation, but rather will be able to handle it professionally. It is also beneficial to hire a licensed electrician because if they have any after service guarantees, then they will be real. An experienced electrician is the best way to go because their many years mean that they have the necessary expertise to handle any problems. They will use their knowledge to determine what the problem is and sort it out quickly. An inexperienced person may end up ruining some electrical components which will then cause damage to the electrical items in the house. The right equipment for the job is necessary, whether it is installing electrical wiring or fixing a problem. This ensures that there are no risks or anyone in the building getting an electric shock. Handling electricity without the right equipment could also increase the risk of an electrical fire. You should make sure you hire a person that knows what equipment is necessary for the job you have called them for. Make sure that you hire an electrician that has a great reputation. This will prevent you from getting disappointed with the services that they will have to offer. You need to be sure that the electrician will provide the best quality of services. You should check their ratings and reviews from any previous clients that they worked for. This will let you know if they are good at the job. Compare prices that different electricians in the area have for the job you want to hire them for. This will ensure that you choose an electrician that has reasonable prices for the job. Air conditioning is part and parcel of our lives and no longer for the privileged few as it was a few decades ago. Air conditioning is used to remove heat and moisture from a room. Also air purification is another important element of air conditioning systems. 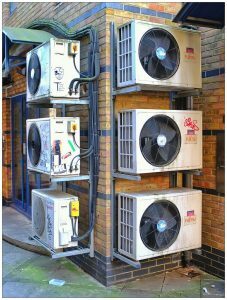 There are many benefits of having an installed air conditioning system at your place. There are so many heat related illnesses that can be prevented by just having good air conditioning. Specifically, asthmatics require fresh quality air to reduce the possibility of an asthma attack happening. Air conditioning enhances proper circulation and filtration of air. Air conditioners remove mold, pollutants and potential allergens from the air. This is important for allergic and asthmatic people as this filters irritants from the air that might trigger an attack. Air conditioning filters are pretty effective in keeping out some insects such as bugs from your home. This protects you and your pets from harm while keeping your house cleaner. A good air condition system helps to protects wood furniture from warping. Excessive heat and its accompanying humidity leads to wood absorbing and losing moisture as the air around it changes causing warping in wood. Damp environments also promote the breeding of mold which can damage fabrics and leather items. Excessive heat can lead to overheating of various electronics and their subsequent damage. This can have various negative effects on your electronics from the loss of data to the shortening of their lifespan. When you use air conditioning in your home you are likely to keep the doors and windows closed. Intruders are then unable to access your house without using force to break in. When using air conditioning one is able to close doors and windows. Closing off a room from outside noise creates a conducive environment for work or any other mentally intensive activity. Most modern air conditioning systems are quiet allowing one to go about their duties in a calm environment oblivious of the air conditioner monitoring and responding to changes in the environment. In addition to providing the much needed comfort at home and our places of work, air conditioning provides us with safety and prevents conditions that can lead to illness. A good air condition system is a valuable investment that you will not regret. Article donated by Air Conditioning Geelong. Harvested from earth and worked on to create individual shingles. Slate roofs have a long life expectancy because they are basically made from stone and it’s a natural material. However, there might be some invisible fractures that might cause the slate to break off. Depending on the slate variety you choose for your roof, the life expectancy might also vary. For instance, there are some slate varieties that crumble and start flaking when the life expectancy ends. Therefore, before choosing any specific type of slate roof, you need to consider the type of roof, the durability and the origin if you want it to last a long time. Even when you choose a good slate variety, the flashings might wear out and start leaking before the slate reaches the end of its lifespan. They are often installed between various roof planes to prevent any entry of water in the valleys, chimneys and other roof penetrations. When you notice the flashings are failing, it’s prudent to start removing them immediately then replace. You don’t need to remove the entire roof for this. Note that, failure to remove this forces the water to enter the roof and might cause more damage than you had anticipated. 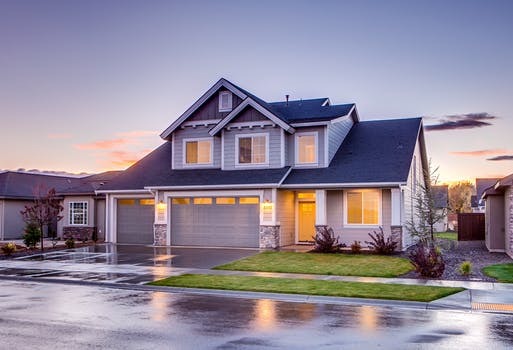 Yes, the roof might be in a good condition and the flashings are ok but if it was poorly installed in the first place, then a lot of damage is bound to happen. Therefore, you need to take your time to find the best installation experts for your roof to make sure the job is done right. Certainly, it would be a loss if your roof didn’t last through the recommended years but just a few before you need to replace it immediately. If your roof has been installed for a few centuries, it’s bound to have a few missing or damaged slates. Since it’s made out of stone, a natural material there might be some hairline cracks that might eventually break. You can remove the faulty slates and replace them with new ones, as close as possible to the previous ones to avoid any discoloration or odd looking areas in the roof. There is no doubt that attic stairs do offer a suitable and practical method to access the attic space. A majority of homes do not have a big attic space to install a full set of stairs, nor is there is enough space to install the full staircase. For this reason, having a pull-down attic stair is not only a convenient way to access the attic but a great way to save space. If the pull-down stairs are built correctly, they are perfectly hidden inside the attic. The only proof that shows stairs is available is a dangling string. However, there are a few common problems with the stairs that could arise. These problems range from noise, stability, joints, and the ladder itself. On the other hands, there are a few things that need regular attention (constant maintenance). Jambs are pieces of woods that frame the opening of the attic. If the jambs are installed incorrectly, gaps or spaces might form between them. With time, they often become loose. Nevertheless, if they were properly glued and screwed, maintaining them is fairly easy. The truth is that cheap hardware is the mother of big problems. What doe this mean? Well, it simply means that using cheap hardware will eventually cause a big problem after some time. Therefore, all the bolts and nuts used to secure the spring to the jamb must be of high quality. This does also help secure the braces to the ladder. Remember, every time you climb and descend using the ladder you are putting a lot of weight on it; therefore, to be safe, you must ensure they are installed correctly with the right hardware. This is a problem that does not offer any danger; the only problem is that it is annoying. The squeaking often comes from the spring when pulling down on it to open the trapdoor. The solution to this problem is lubrication. This simply means lubricating (oil) the joints and the spring on a regular basis. Bowing often occurs after a while due to applied weight and using substandard hardware. This is a problem can cause serious damage to your property as well as danger to you and your family. 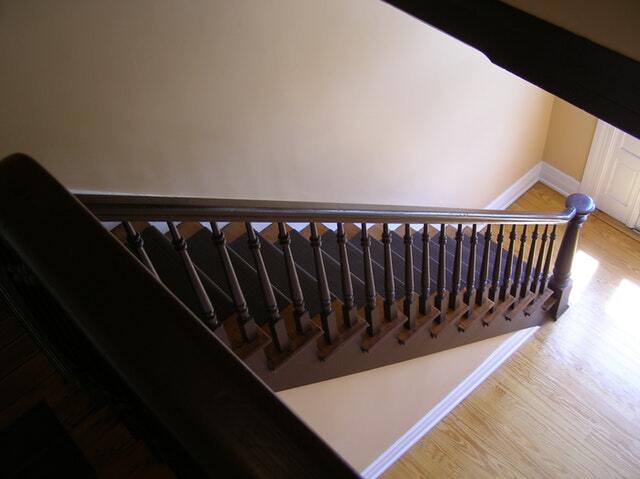 Hardwood is the best type of material to build the stairs and also the hinges must be inspected periodically. If your attic ladder has bowed, the only solution is a full reconstruction. NOTE: because pull-down attic stairways have moving parts, it is extremely wise to inspect every component periodically to ensure that it is safe and can support a person’s weight. ARTICLE: Supplied by the team at Stellar Stairs Sydney. A dripping faucet may seem like nothing out of the ordinary, but you must consider the greater consequences of what happens when you have a faucet leaking for hours and days on end. In fact, if you go online, you can even find something called a drip calculator to show how much energy and water you’re wasting. Unlike leaky faucets, leaking pipes can cause a lot more damage than homeowners really give them credit for. You will first notice your pipes leaking around the joints and water will start to pool beneath the leak. This is most commonly identified by taking a quick trip to your basement. Bear in mind that such leaks are common in the winter, but if they occur year-round, then you know you have a real problem on your hands. Unless you have recently installed a water saving showerhead, you may be left wondering why your home has low water pressure. Once again, older homes are the most affected by this problem. In order to ensure that you troubleshoot correctly, make sure to employ the help of a professional plumber. The moment you notice that the water is not going down the drain or you experience a foul odor throughout your property, you need to get the right help. Though some homeowners attempt to fix clogged drains on their own, the fact remains that it can be harmful to your health as well as the drain itself. Your drain is backed up for a reason, and that reason should be addressed by the correct professional. The above common plumbing issues will and can affect most households on a regular basis. Instead of taking matters into your own hands and hiring emergency services to correct your mistakes later on, call a trusted plumber in your area today to get the work done. Bear in mind, experience and knowledge may come at a price, but so does making a plumbing mistake! Here are some of the ways a good rooftop will save you money on those utility bills. Heat is an important part of living indoors especially when the temperature drops. Therefore, the roof has a major role to play. it is the best solution for keeping the heat inside during those cooler months. Imagine having a blanket around you during the night. The blanket allows your body heat to stay within the blanket instead of leaking out into the room. The same applies to the rooftop. The warmer months can bring with them a tremendous amount of heat indoors. This is normal in most areas but that’s where a good rooftop can help out. It is able to keep the heat outside and make sure it doesn’t come in through the gaps. As a result, the property stays cooler during those summer months. If there is air trapped inside, this is going to make it super stuff during the summer months. The heat becomes suffocating after a while especially as the temperatures shoot up. Therefore, it’s important for the roof to be a good ventilator that lets the hot air leak out as soon as it starts to get stuffy inside. It’s important to note the right roofing material can go a long way in absorbing heat. There are many traditional forms that don’t do this and that can start to chip away at one’s utility bills. Imagine the heat goes right through and starts to heat up the property. This is when the AC has to be used aggressively and that is never a good thing. It puts a lot of stress on the AC and that means it has to push out more heat than ever before. This heat absorption is a good thing and is one of the reasons it’s important to think about the right roofing material. Your roof can be a real money saver as long as the right material is being used. A lot of property owners don’t give as much thought to this as they ought to. As a result, their utility bills continue to head in the opposite direction and do a lot of damage to their monthly expenses. Be smart and think about ways to save money on your bills and begin with the rooftop.